Head on over to Peaks, Iowa and enjoy a coffee at Robin’s cafe! In the first draft, there were three point-of-view characters: Robin, Ian, and Ian’s dad. My editor very intelligently noted that this made the story too Ian-heavy. So I nixed the dad’s story and made Amanda Price the third point-of-view character instead. Like Robin in Wildflowers from Winter, Amanda acts as a nice bridge between Ian and Robin. The quirky Bed and Breakfast owner, Bernie, was originally named Ruby and she had a whole plot line that involved Ian’s dad and a secret affair, all of which didn’t make it to the final cut. Ian McKay was first named Braxton McKay. I had a contest on my Facebook page to rename him and Ian won by popular vote. Before edits, Bethany was pregnant and delivered a baby boy toward the end of the novel. If you’ve read Willows, then you know this isn’t the case. In the original version, there were no first-person vignettes, not even a prologue. 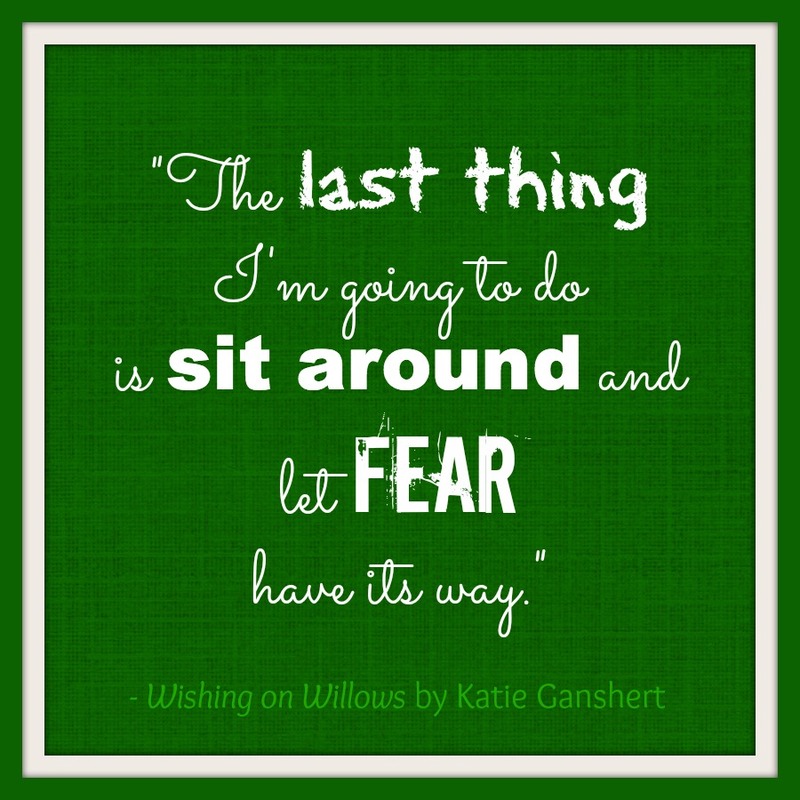 But my editor and I liked the first-person vignettes so much in Wildflowers from Winter, we decided to add some to Wishing on Willows. I found them incredibly fun to write. Check out Bernie’s very own board on Pinterest! 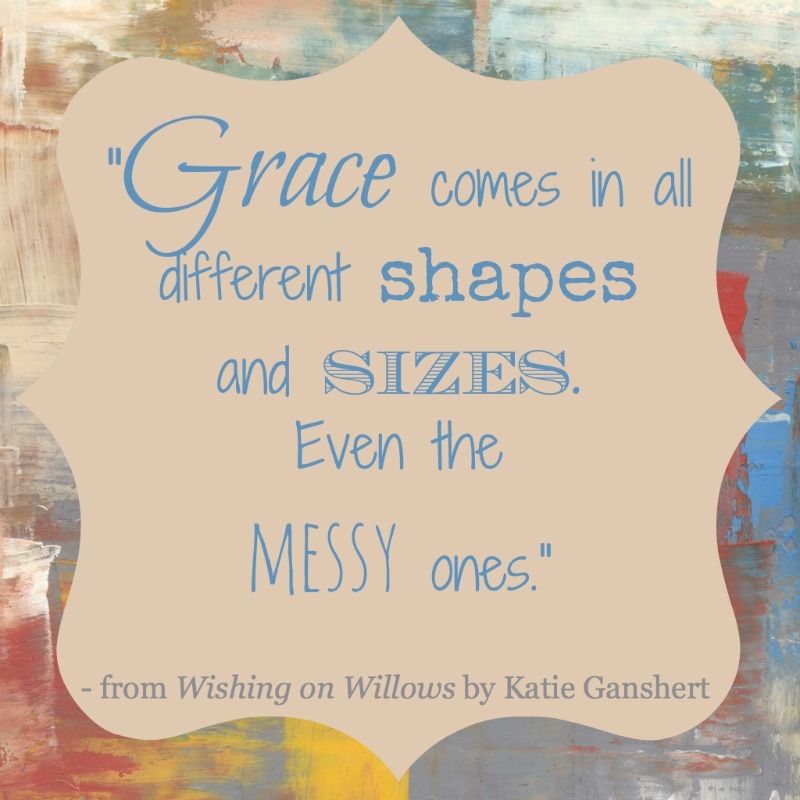 Is your book club reading Wishing on Willows? Check on the discussion questions. Ganshert (Wildflowers from Winter) tackles difficult topics head-on, dealing honestly with themes of loss and redemption while creating believable, sympathetic characters. 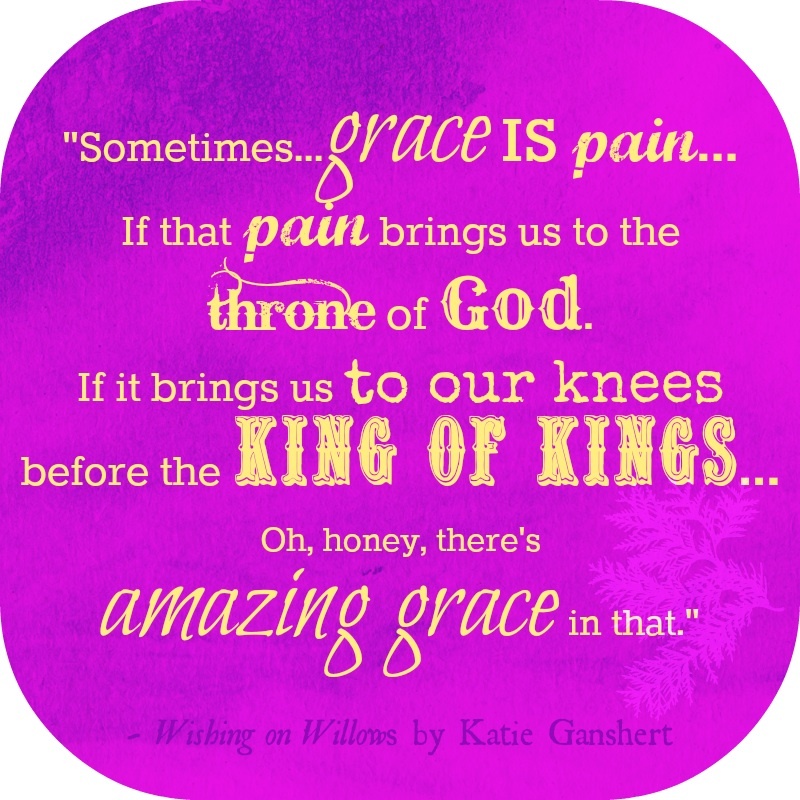 Karen Kingsbury fans will delight in discovering a promising new author. This is a wonderful story of the possibility of starting over after tragedy and having a second chance at love. The characters are well rounded and very well thought out. Ganshert has hit a grand slam! —Jane Kirkpatrick, New York Times bestselling author of Where Lilacs Still Bloom.